Hi everyone. Just a quick post today; it’s been an extremely busy week for me so I haven’t been as present in the online world as usual. 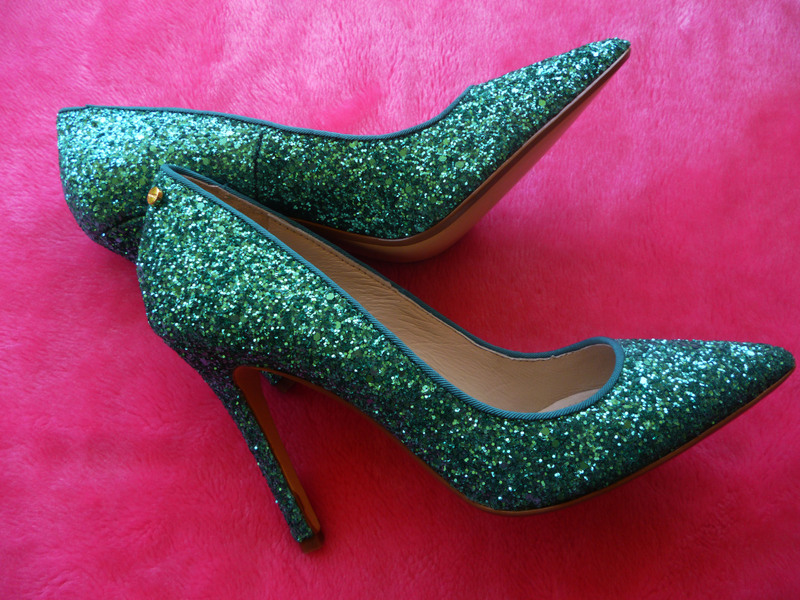 I have been very naughty and purchased some rather expensive shoes which are the Red Carpet 100 Pumps from Mimco in Peacock Green Glitter. I would never pay this amount for a pair of shoes but I absolutely could not resist. I never see shoes which make this much of a statement in the shops; I am often frustrated by the conservative range of shoes that are available. These shoes are absolutely stunning and perfect. The most beautiful shoes I have ever seen. I adore glitter and there are definitely not enough glitter products around. I tried to make my own glitter heels a few years ago but they didn’t look as good as a store bought pair and I was scared about all the glitter falling off! But I think eventually I’ll try DIY glitter shoes again because I’d love to have glitter shoes in every colour and especially in pink. 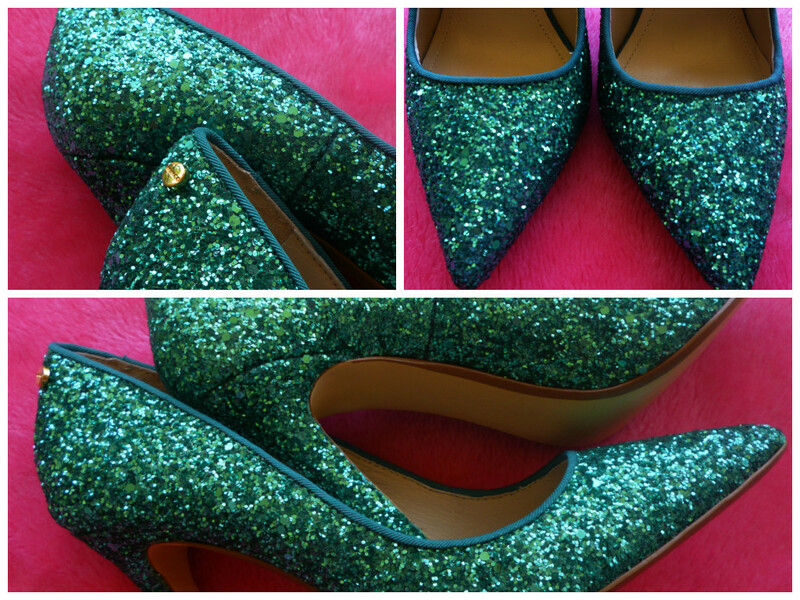 The stand out feature of these heels is also the gorgeous emerald shade. Wow. I’ll be wearing these shoes for the first time tonight for a Christmas party which is a cruise around Sydney Harbour. This entry was posted in Item of the Week, Mimco, New In. Bookmark the permalink. That coat. Those heels. Seriously dying right now, Imogen – so cute! These shoes look absolutely amazing, and I love the color.